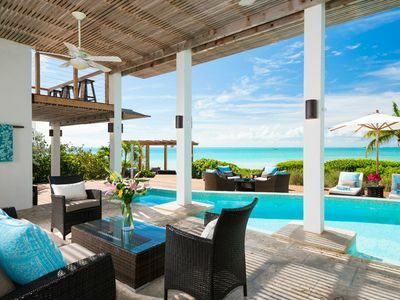 Welcome to the beautiful Sunsara Villa, one of our most luxurious and exceptional villas in Turks and Caicos. 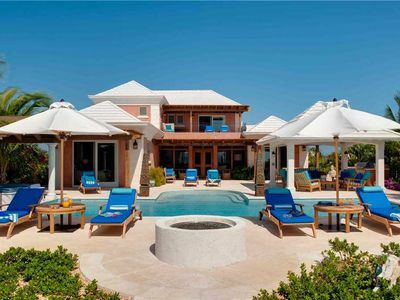 Conch Villa is a 4 bedroom luxury villa situated on the most stunning beach in Providenciales called Grace Bay. 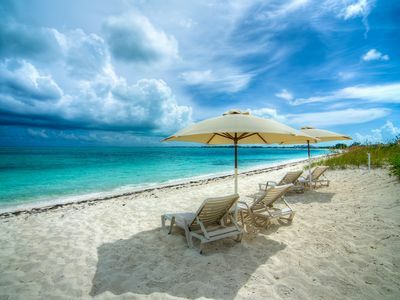 Grace Bay is an exceptionally beautiful bay which curls along the north shore of Providenciales for 12 miles (19 km) and is lined with powdery white sands. 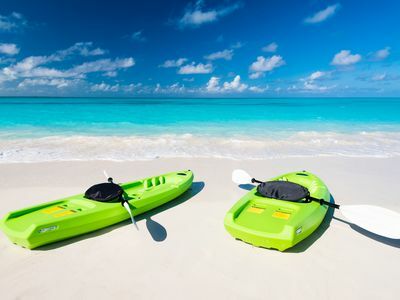 It offers some of the best snorkeling spots on the island as well as some of the most exclusive vacation rentals in Turks and Caicos. 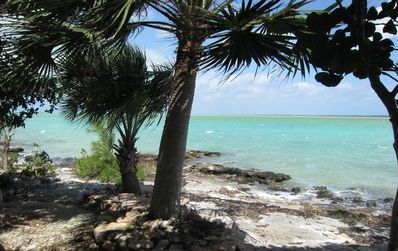 The villa is located in the exclusive and secluded residential community of Leeward. On arrival a spectacular entrance leads you towards this contemporary villa, surrounded by lush and colorful landscaping. 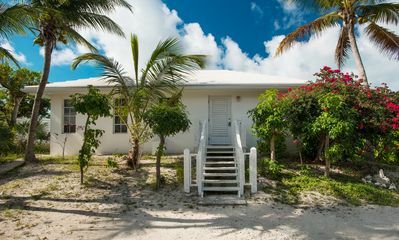 The moment you enter the villa you will instantly feel you have landed in paradise. 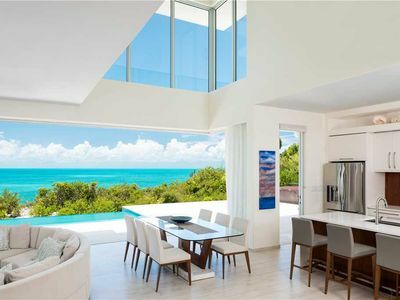 Large glass doors lead out to the stunning fresh water pool, which overlooks the clear Caribbean waters. 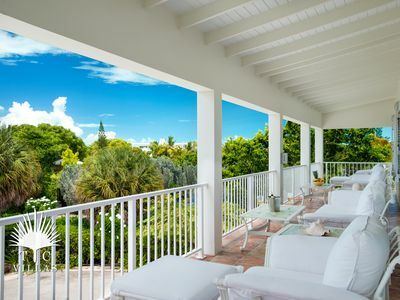 Enjoy your day under the sunshine relaxing on the deck which is steps from the ocean, spend your afternoons on the powdery white sandy beach of Grace Bay or sit back and relax in your own private villa with a book in hand. 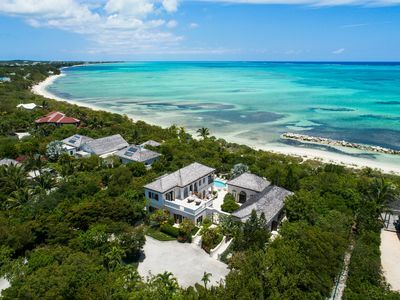 This exquisite villa is surrounded by gorgeous gardens; an ideal place for you to lounge on the sunbeds, with a cocktail in hand, and absorb the breath taking sea views. 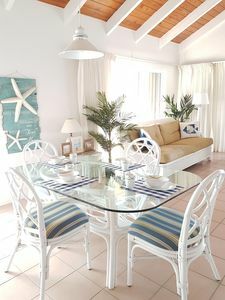 The villa is located on the world famous Grace Bay beach and enjoys 100ft of pristine white sandy beach. 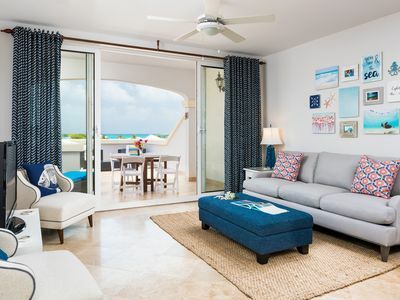 Sunsara is a newly refurbished chic four bedroom villa which features a wonderful array of modern interiors. 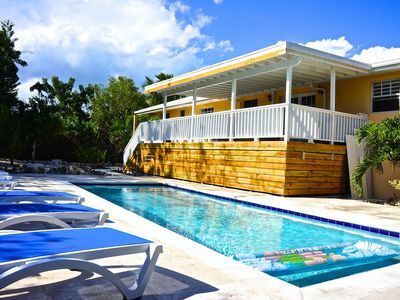 Only three miles from the centre of Grace Bay the villa is the perfect vacation home for the whole family to enjoy. You can unwind in the spacious state of the art living room of Sunsara, watch a little TV on the impressive 60” flat screen whilst looking out to the panoramic ocean views. The fully equipped open plan kitchen offers both a gas stove and electric oven. It opens out to the formal dining area with a remarkable waterfall feature. 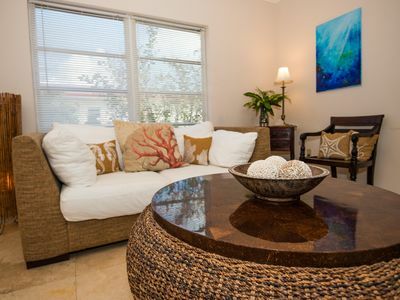 Sunsara comprises of Four luxurious en-suite bedrooms. 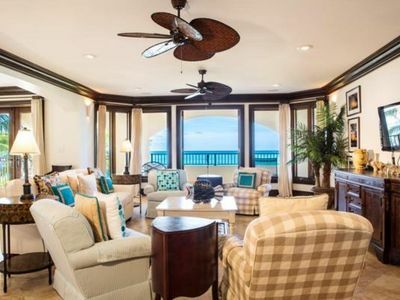 The magnificent master bedroom has a fantastic patio terrace which looks out onto the turquoise ocean. 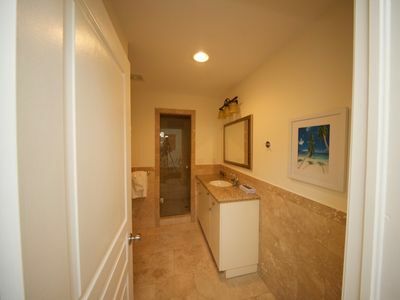 The master bathroom features an amazing pedestal tub and rain shower. The impressive garden bedroom has a private entrance but is still part of the main house, which enhances its exclusivity. 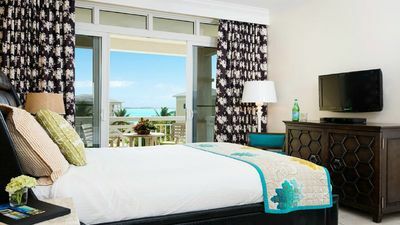 The ocean view bedroom has a patio terrace, similar to that of the Master bedroom, and also offers astounding sea views. Spacious air-conditioned bar area complete with TV & music system. 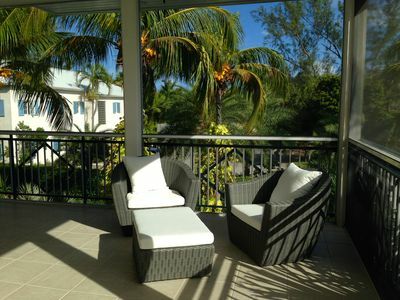 Superb oceanfront contemporary, walk to Taylor Bay Beach! 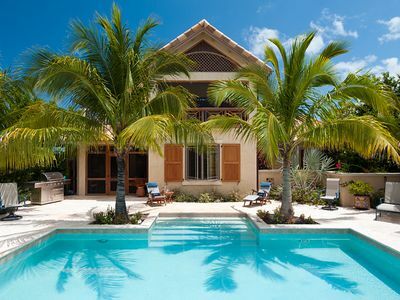 Luxury, Pool, Spa, Swim Platform, Taylor Bay Beach! 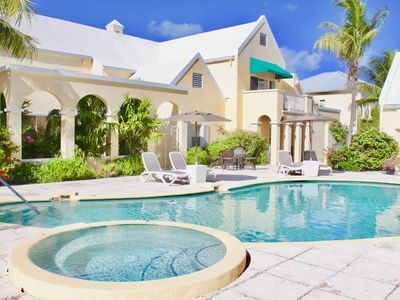 Sapodilla BEACHFRONT Luxury Villa! 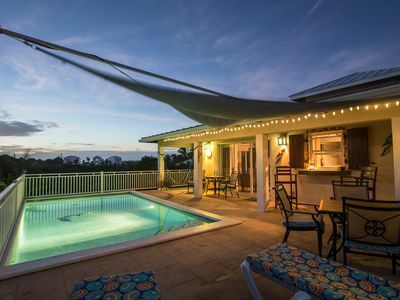 Sunsets, views, private pool, kayaks & more! 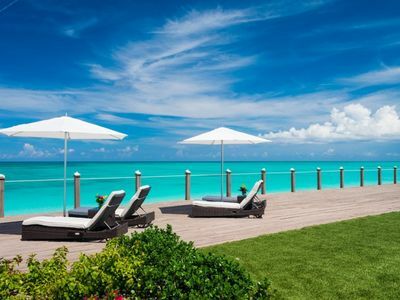 Grace Bay Beach Ocean Villas, Bougainvillea Villa. Rated #1 On Trip Advisor.